Strategic Retail Management is the process of banning organization activities. It involves making both strategic and tactical decisions for different levels with the retail organization. In discussion, we review the process by which strategic planning is accomplished and the resulting retail strategic plan. The topics to be discussed include the need for strategic retail management and planning, how to develop a retail organizational mission statement that can serve as a focus for the retail organization’s current and future activities, formulating the retail organization’s objectives for achieving the organization’s mission, and an identification of the various types of organizational opportunities and evaluate the appropriate strategies associated with each type of opportunity. Before describing the structure of strategic retail plans, it is instructive to examine the issue of strategic verse tactical planning as it relates td the various levels (corporate, divisional, functions, and departmental) within the retail organization. Strategic Planning: Involves long-term, broad-based intentions that unfold over a period of time; it is a multifaceted outlines which the retail organization hopes to accomplish now and i-n the future. Tactical Planning is the logical outgrowth of the organizations strategic plan; it involves short-term focused, and operationally based activities that are designed to earn the retailer a competitive advantage on a temporary or permanent bases. Figure below highlights the relationships between the various levels of which strategies and tactics are planned and executed. Cooperate planning is conducted by the corporate headquarters management team and is directed at developing n overall plan for the entire organization, planning at the corporate level is the responsibility of the firms Chief executive, his top management team and their support staff. The corporate planning process establishes the general framework for the firms’ actions over an extended period of time. It outlines the organizations general business intent. 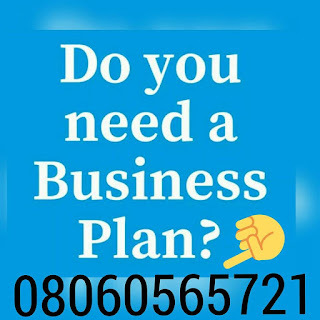 Business planning at the divisional level involves developing a course of action for each of the strategic business units (division) with the retail organization strategic business unit is a business division with a clearly identifiable merchandise strategy (retail format) that targets a market segment (customer focus) within a defined competitive environment (market position). Each SUB is typically operated as a separate business with its own competitive strategy. In carrying out the strategic planning process at the divisional level, the retailer must examine both the strategic plans of the individuals SUB and the role of the SUB in the over all corporate strategy. The planning process continues with the development of plans for each store or group of stores within each division. It is at this level that the directions to the future must be operationalized by activities of the present. It is where strategies are transformed into tactics. At the operational level of the organization each of the functional areas within the store (e.g. developing merchandise mixes, establishing merchandise logistics system, finding favourable retail locations, designing external store motif and internal store layouts, developing human resource management program, cultivating customer assistance and communication policies) requires tactical plans that are both executable and controllable, as well as consistent with the corporate strategy. At the department level, planning is most tactical. It focuses more on current problems and decisions faced in implementing those strategies and directions identified at the corporate, divisional, and operational levels, Departmental managers are mostly concerned with managing the focus for the department level and coordinated with operational tactical plans that must be translated into divisional strategic plans to meet the overall corporate goals. The strategic retail planning tends to develop a long-term course of action that will provide an overall sense of direction to a retail organizations business activities. The strategic retail plan is a grand design or blueprint for ensuring success in the organization’s business endeavour. A strategic plan is a directed capabilities (present and future). A good fit positions the organization so as to enable it to sustain competitive assets and overall competitive liabilities, as well as to anticipate external environmental changes and identify needed” internal organization adjustments. The development of an organization strategic plan is a process that consists of (1) establishing the organizations mission, (2) identifying the organizations objectives, (3) evaluating the organizations portfolio of SBU’s and (4) assessing the organization opportunities. The Mission Statement is a generalized yet meaningful expression of the organizations future directions. It is a commitment to future actions citing numerous tasks to perform. First, a mission statement identifies both the business and customer domains in which the organization operates or plans to operate. A well-defined mission will answer-such business domain questions as: what is our business? What will our business be? What should our business? Corresponding questions in the customer domain are who is our customer? Who will our customer be? Who should our customer be? Second, mission statements identify the organization responsibilities toward the people with a people business, and reflect this orientation. Third, a mission statement provides a general blueprint for accomplishing the organizational mission. Taking several factors into account such as developing the organizational mission statement, these factors include environmental considerations, resource considerations, destructive computers, and managerial preferences. The retail organization must accommodate and react to the several different environments that present both opportunities and threats, some of the major corpulence of an organizations environment are suppliers, marketing intermediaries, customers, competitors, and the public. As a marketing intermediary, the retail organization has an internal environment within which the daily operation of the firm must be successfully completed. The strengths and weaknesses of the organization structure and personnel must be accounted for when developing the mission statements. As a team member of the marketing channel of distribution, the mission statement must also address the needed suppliers or and customers. The retailer’s mission should recognized the need for a coordinating effort and a cooperative spirit in conducting channel affairs. Retail organization that have’ adopted the marketing concept (customer satisfaction at a profit) will consider the expectations of their target markets on how to make provision within the mission statement for gaining buyer acceptance of the firms programmes. The mission statement must also recognize the existence of competitors and the expectations of the public. The strategic planning process must devote considerate attention to positioning the retail organization relative to competition. The general public perception of the retail organizations is vital to acceptance of the firm’s activities. The goal of serving the public by being a responsive corporate citizen meeting its social responsibilities also needs to be addressed with the mission statement. 4) the physical plant store facilities, fixtures, and equipment. A careful assessment of practically retail organization will reveal certain merchandising and operational capabilities that distinguish it from competing organizations, distinctive competencies might occur in such area as visual merchandising,, exclusive supplier relationships, customer communications and sales promotions, inquire store imagery, inventory planning and control systems, organizational integration, and control systems, product assortments, market coverage, or store atmosphere. The list of possible distinctive competencies is almost endless. Additional considerations in developing a .mission statement include the merchandising and operating preferences of the organization cadre of managers. The type and extent of managerial expertise (e.g. mass merchandise versus specially retailing) will vary among retail organization. Therefore, it is both logical in planning the organizations’ future directions. Managerial instruction likewise should not be over looked. Organizational objectives can be defined as strategic position to be attained or purpose to be achieved by the retail organization and or one of. its strategic business unties. They end of action statement toward which the retail organizations efforts are directed. The major thrust of formulating retail organizational objective is to strike a balance between satisfying the customer’s merchandising need for a satisfactory financial performance. The two major categories of organizational objectives reflect this balance, the market objectives of customer patronage and competitive position and the financial objectives of profitability and productivity. Market objectives are aimed at securing customer patronage and achieving competitive positions within the general market place. Carefully planned merchandising programmes that can satisfy the customer’s psychological, social and personal needs realize market objectives. The following are several of examples of retail organizational market objectives: These are aimed increasing customer patronage and improving competitive position of the retailer. i) Sales Objectives: Sales volume increases are a commonly identified and typically expressed as a certain percentage increase (e.g. 15 percent) for a particular store over a defined time period (e.g. next year). Increase in total sales can be accomplished by: (1) adding new operating units (stores). (2) increases sales at existing stores by raising advertising expenditures, improving product service of serving lowering price, or making other merchandising adjustments (e.g. added conveniences) that can increase customers’ satisfaction. ii) Customer Traffic Objectives: Many retailers believe that they can attract customers into the store, their objectives are thus: to increase (1) the total number of customers visiting the store during a specific time period, (2) the total complement of various types of customers attracted into the store (e.g. low middle, and upper-income consumers); and or (3) the magnitude of specific customer groups targeted for special attention (e.g. teenagers, women etc.) possible strategic for increasing the total number of customer visits include: additional mass advertising , sales promotions, and special-event merchandising. iii) Customer Loyalty Objectives: A customer loyalty objective is aimed at repeat purchases or return trade. Repeat business, is essential to almost any retail operation because for many it represents store loyalty. The key to store loyalty has to do with the type and quality of services provided to the customer-better transactional efficiency, better service availability, and less trouble in service execution. Market share objectives are the most commonly used form of expressing competitive position. Market share is a measure of a retail organizations sales position relative to all competitors within the same market. The market share objectives pursued by retail organization are: (1) market share growth (e.g. increase market share by 6 percent over the duration of the planning period), or (2) market share maintenance (e.g. protect our, current market share against the aggressive actions of all competitors). v) Retail Image Objectives: A retail image is the metal picture of a retail organization as viewed by the customer and the general public. Retailers establish image objectives because they realize, that customers tend to categories people, places, and things in relative terms. By offering wider product selections higher quality products, better price I values, more convenient location, easier credit terms, and 1 faster service, retailers can competitively position themselves in the minds of customers by careful planning, it is possible to position the retail organization in an imagery rich that clearly distinguishes it from its competitors. Financial objectives are directed at ensuring that the retail organization operates profitably and productively. Financial objectives provide quantifiable standards by which the organization performance will be judged. Targeted returns, earnings, and dividends are three common profitability goals. The three most critical resources that require careful management in a traditional retail enterprise are labour, space and merchandise. The productivity of the organizations labour can be measured by dividing net-sales by the total number of employees or net sales by number of working hours of labour Examining and comparing profits and assets on per-employee basis can obtain another view of labour productivity. Retailing is a labour-intensive business; hence, the contribution of human resources must be recognized and productivity performance standard established, many retailers also recognize that labour turnover adversely affect labour productivity, and therefore they strive to reduce this by setting employee satisfaction objectives aimed at increasing employee retention. iii) Space Productivity Objective: One of the retailers’ most important resources is the amount of available merchandising and operating space, most retail organization attempt to maximize their selling space and productivity. Sales/Productivity ratios are established for stores as well as for individual department and product line areas. Space productivity is measured by dividing net sales or gross margin by the most appropriate expression of area, some example of sales/space or margin/space productivity ratios are: (1) net sales per square foot of floor space, (2) net sales per cubic foot of display area, (3) net sales per linear foot of shelf space, and (4) gross margin sales per square root. iv) Merchandise Productivity Objectives: Inventory turnover is. the most widely used criteria for measuring merchandise productivity. Inventory turnover can be defined -as the number times period (e.g. a year) that the average stock on hand is sold. The desired objective is to achieve the highest possible inventory turnover rate for the type of merchandise being sold and the additional resources that must be used to improve turnover. Convenience goods usually have higher stock turnover than specialty goods. An objective of increasing turnover rate by increasing advertising or adding more sales personnel may prove productive if increased expenditures do not exceed the additional profits derived from such a strategy. 4.2 RETAIL ORGANIZATION OPPORTUNITIES AND STRATEGIES. Retail portfolio is the collection of the strategic business units held and managed by a retail organization. Portfolio analysis is an analytical tool to provide perspective on the organizations current situation (where it is now) and suggest possible courses of action for the future (where it wants to be). After completion of the portfolio analysis, the decision to target some SB Us for extrication or replacement, while others are targeted for maintenance and growth often leaves a strategic gap between the current and desire performance of the retail organization. To fill this strategic gap, retail management must take advantage of any of these opportunities for better growth and for reprove performance. One opportunity that is readily available to each retailer is to pursue market penetration. This is the strategy of trying to increase the sales productivity of current SBU stores within existing markets. Several different objectives might be identified in pursuit of this strategy. (1) increase, patronage level of current customers by increasing the frequency of store visits and the amount of the average sales j per customer visit; (2) stimulate trail visits among nonpatrons who reside in existing trading area, (3) entice customers who currently patronize competing stores within existing trading areas. To-achieve these stated objectives, retailers employ such tactics as (4) engaging in trade up selling (5) developing special event merchandising program, and (6) offering lower price. To most retailers, existing markets represent additional market potential due to unmet needs. Product development is one means of serving those unsatisfied needs. To increase sales within existing markets by developing new goods and services is the focus of product development strategy operationalized by either replacing old merchandise with new lines of adding new product lines and items. Product development usually translates into: (i adjusting merchandise variety and assortment to create a more differentiated merchandise mix and fine the type and number of services in order to offer a more extensive selection of expected and optional services, (2) adding more desirable merchandise items and service types that are normally associated with another retail format, and (3) developing a general-purpose product lines or service offerings. A strategy of horizontal integration is achieved by seeking ownership and/or control of competitors at the same level within the marketing channel. This is usually achieved by buying up competing retail stores or store chain, either with similar or different format or product/service mixes or assortments. Diversification strategy retails moving out of the retail organizations original product-market scope in search of opportunities. It involves the retailer offering new product-1 service assortments to new customer segments or large markets. There are three types of retail diversification in retailing: concentric diversification, horizontal diversification, and conglomerate diversification, concentric diversification tries to attract new customers by adding business having technological or marketing similarities with existing retail business. Because it represents an opportunity to grow in a familiar and less risky environment; and concentric diversification is the most popular of the diversification alternatives. The objective of horizontal diversification is to increase sales by adding SBU’s that appeal to the organization current customers even though they are not technologically related to its current business, conglomerate diversification entails the retail organization adding new businesses that are totally unrelated to its current SUBs in the hope of appealing to entirely new markets (e.g. a retail organization currently in home appliance, adding food retailing, book retailing, drugstore to its original businesses.